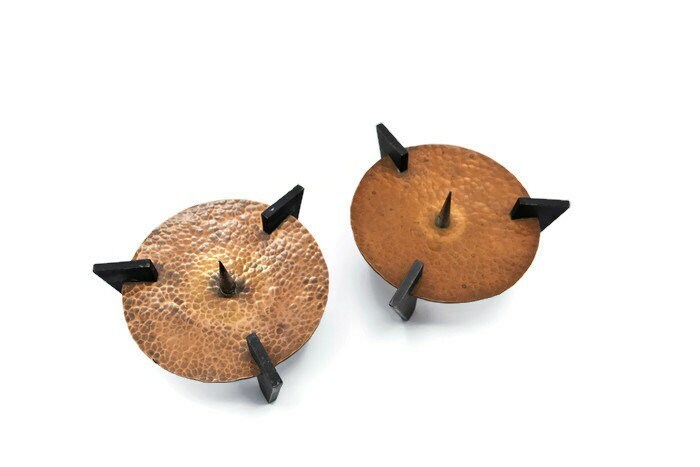 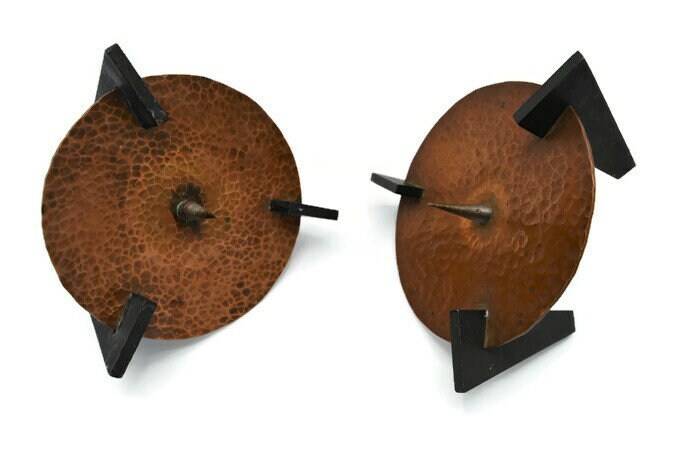 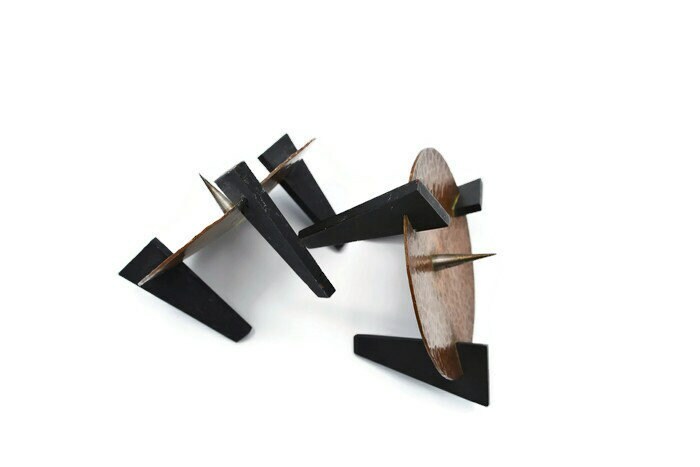 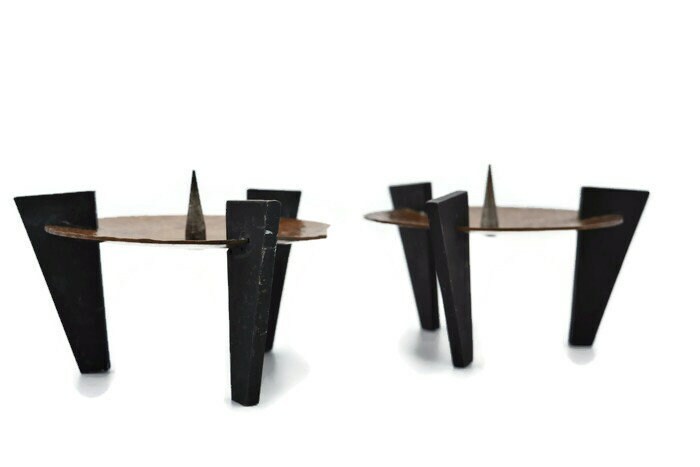 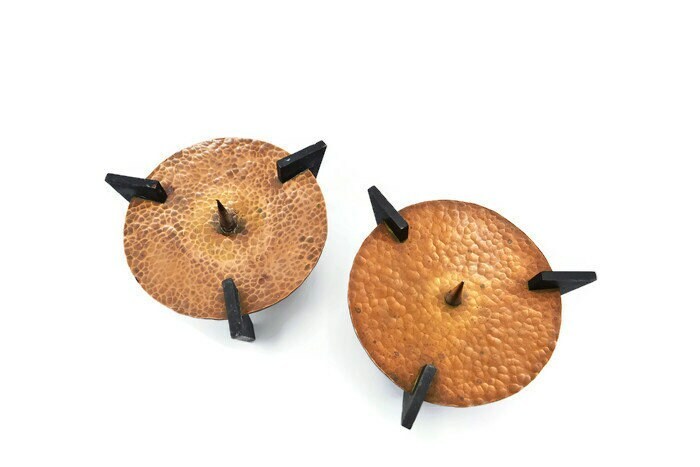 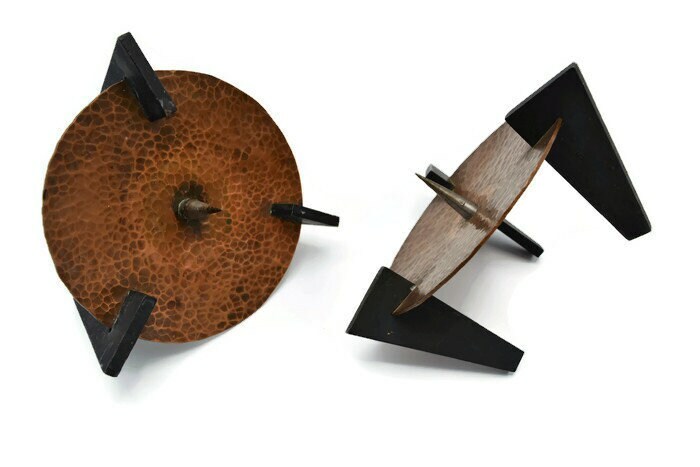 A striking pair of 60's brutalist candle holders. 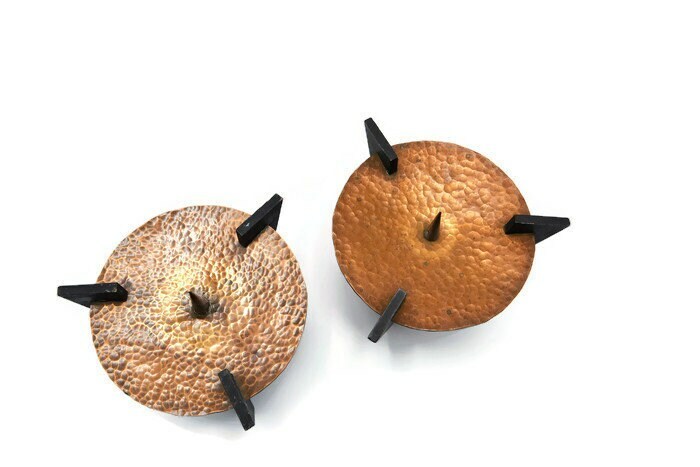 The metal is probably a mix of brass and/or bronze and they both have a great worn patina. 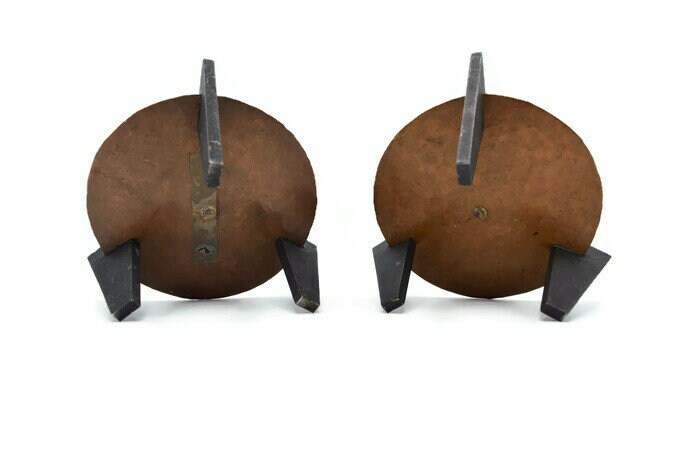 Probably made in the late 50s/early 60s.